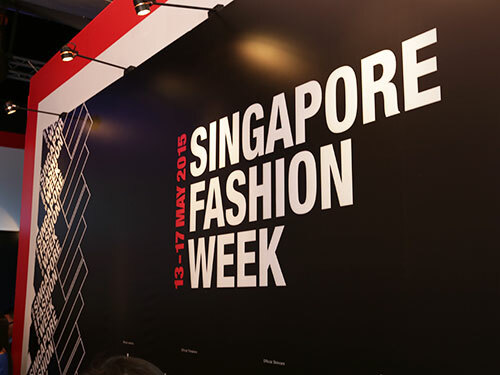 Singapore – Raffles Fashion Designers challenged their creative boundaries in a joint collaboration between Raffles Singapore and NESTLÉ. The collaboration aims to celebrate woman’s confidence, which stems from her love of looking good through fashion and feeling good through healthy exercise and eating NESTLÉ FITNESSE whole-grain cereals. As part of a FITNESSE Social Media Campaign 2015 in conjunction with SG50 celebrations, Raffles Fashion Designers created several art dresses using FITNESSE cereal boxes and giving it a “Uniquely Singapore Twist”. The creations were conceptualised to be in line with FITNESSE brand values and image, targeted at social savvy users aged 18 to 35 years old. In three groups, Raffles Fashion Designers stroked the right note by creating amazing looks that represented different FITNESSE personalities – “Miss Perfection”, “Miss Summer Sunshine” and “Miss Braveheart”. 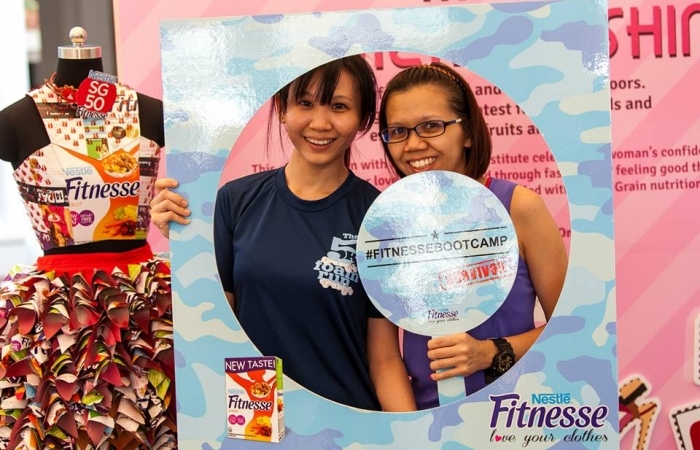 The personalities were showcased at Chijmes in April in conjunction with the first-ever fitness boot camp organised by NESTLÉ FITNESSE. Raffles Fashion Designers took the chance to participate in the boot camp led by Physical ABuse, with guest Sandra Riley Tang from The Sam Willows. Participants were given goodie bags and a 14-day FITNESSE Programme that included free passes to Physical ABuse gym. “Miss Perfection”, designed by Raffles Fashion Designers Liu Xiaotian, Valentia Guo Jiajia and Lu Yijie, was inspired by Singapore’s culture and symbol, with a hint of red to represent Lunar New Year. Wheat-shaped elements were introduced to the neckline of the dress and the bell-shaped bottom of the dress represented the FINESSE cereal. 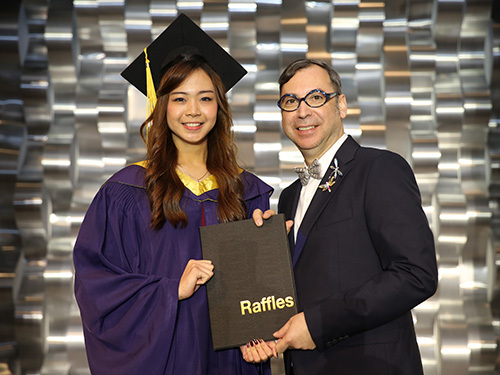 “Miss Braveheart” was inspired by the rotating shape of the cereal, designed by Raffles Fashion Designers Ache Zhang Fan, Elaine Zhang Qi and Matthew Liu Meng. The cereal boxes were cut and wrapped around the body to create a whirling effect and accentuate a woman’s figure. The details were stemmed from Singapore’s national flower, Orchid. “This was definitely a challenging project because I had no experience in making a dress out of paper-based material. There was a sense of joy and accomplishment to be able to milk out our creativity juices and hone our teamwork. I learned more about the fashion style in Singapore. Every nation has its own flavour when it comes to style and this project has opened my eyes to Singapore’s.” said Stevana. A combination of matured and young styles, “Miss Summertime Sunshine” featured a classy look created by Raffles Fashion Designers Angela Gunawan and Stevana Ongko. They used pleated cereal boxes to form the flare bottom of the dress and used the blue hues of cereal boxes for the top, paired with a mandarin collar to represent a more traditional and matured design. “The biggest challenge that we faced was the combination of the colours. The cereal boxes were very colourful and needed tactful choosing and matching of the different parts. Otherwise, the dress will look very messy.” said Valentia. 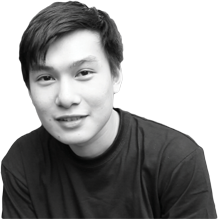 “It was very beneficial for students to collaborate with a brand, as an established brand have its own identity, the students have to research and understand the brand and the brief clearly. Working with a particular concept and material that they are not used to, pushes them to explore different methods and develop their skills accordingly as a designer.” commented Raffles Creative Practitioner Arzelle van de Merwe, who guided the two teams that created Miss Summertime Sunshine and Miss Perfection. “The FITNESSE Cereals project marked yet another milestone achievement in terms of collaborative efforts between Nestle and Raffles Singapore, this time to promote “Wearable Art” through FITNESSE packaging. The transformation of plain FITNESSE boxes into masterpiece dresses with outstanding intricate details to celebrate a woman’s shape, was simply breath-taking! We hope your talented students had as much fun as we did in the making of this great project.” said Winnie Foo, Business Manager of NESTLÉ Breakfast Cereal. The bootcamp ended off with a spread of NESTLÉ FITNESSE whole-grain cereals and a variety of healthy fruits as toppings. The creations were also displayed at NTUC Fairprice at The Sports Hub in April to May 2015.